Iran has launched a secondary market for foreign exchange to ease a dollar shortage ahead of the return of U.S. sanctions. The market, designed for importers of non-essential goods, started operating on Tuesday. The rate on the first day averaged 80,000 rials to the dollar, the Iran newspaper on Wednesday cited Mohammad-Mehdi Raiszadeh, banking adviser to the Iranian Chamber of Commerce, as saying. The initiative was announced by the Central Bank of Iran last month to provide foreign currency to importers, who can’t access the central bank’s preferential rate of 42,000 rials, which is available to energy-related businesses and traders in other “essential” goods. It’s also meant to discourage exporters from selling their dollars on the black market, and to create a mechanism to avert dramatic rate fluctuations, according to the Donya-e-Eghtesad newspaper. Iran’s currency started slumping against the dollar months ago in anticipation of the U.S. withdrawal from the nuclear accord in May, and reimposition of sanctions on Tehran, beginning in August. 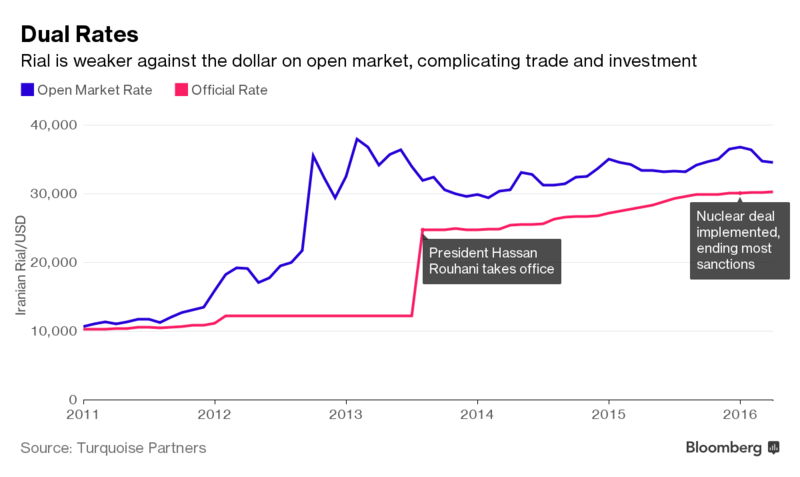 To try to contain the rial’s decline and curb a thriving black market for dollars, Iranian authorities unified exchange rates to 42,000 rials to the dollar and imposed restrictions on foreign currency trade. Authorities expect the new market will push unlicensed traders to bring their dollars to market, for fear the secondary exchange’s activities will lower prices, state-run Mehr news agency reported Tuesday. 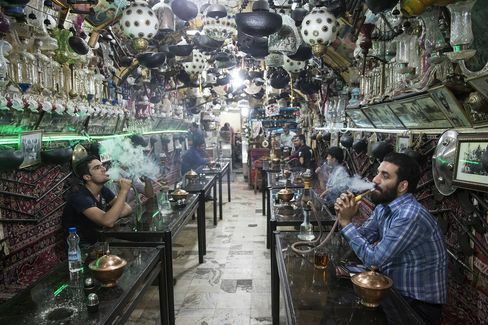 But because the new market doesn’t answer the foreign currency needs of other segments of society, like travelers, the black market will continue to influence prices, said Mohammad Lahouti, the head of the Iran Export Confederation, in comments to Donya-e-Eghtesad.